I am not a natural researcher when it comes to writing fiction. I find it slows the act of storytelling down—I like to get into a flow with the words and pausing to check facts can be jarring. I love reading historical fiction but I vowed to myself I would never write it. 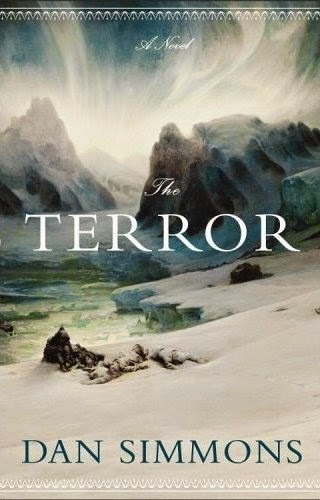 Then I came across the Thames Torso murders, and having read Dan Simmons' The Terror [doesn't get better, does it? — Ed] I felt inspired to give writing a blend of fact and fiction ago. I took advice from several friends who've written historical fiction and their universal top tip—which I've since passed on—is not to get bogged down in trying to research everything before you start. You can get lost in it, and by the time you come to need a small piece of information, like for example, what a middle-class late-Victorian family might have for dinner, you've forgotten what your research told you. Also, you can get caught up in tiny details and miss big things. While writing Mayhem I very nearly missed the Dockers' Strike of 1889, and given that some of my action takes place in the wharves, that could have been disastrous. When planning Murder the first thing I did was a quick search on major events that happen during each year of the book. 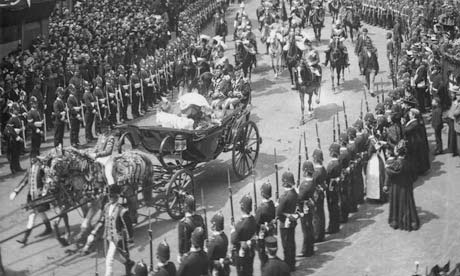 Although Murder is quite a claustrophobic story of paranoia, Queen Victoria's diamond Jubilee took place during one of the years of the story. It was a huge nationwide celebration and to not feature it would have damaged the authenticity of the narrative. 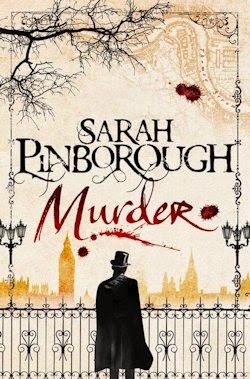 Writing a novel set in Victorian London can also be a double-edged sword in that we each have an image of the era in our heads from various film and television adaptations of famous novels. In some respects, that's great in that you don't have to set up the entire world for the reader, but the danger is that your description can become generic. Luckily, if you dig around on the internet (the saviour of the modern writer) you can find some great contemporary accounts of various parts of the city written by journalists and diarists of the time which help with small details and getting the atmosphere of the place right. Newspaper archives are also great for understanding the feel of the era. I subscribe to the Times Archive (all the newspaper articles in both Mayhem and Murder are authentic), and I searched for murders that made the papers of the day and investigations that both Dr Thomas Bond and Henry Moore were involved in (other than the most famous, the Jack the Ripper case) to use as the backdrop to events in Murder. When I'd found those I also read other sections of the newspapers to try and get into the mentality of the period—the social issues, the politics etc. in order to make my characters' behaviours more realistic. It's surprising how similar in many ways we are to those who lived at the turn of the twentieth century. We both exist in fast-changing times with huge divisions between the rich and poor and the problems that come with that. Using real people and events from history creates its own problems when weaving a story around them but I've thoroughly enjoyed it. There's a magic in having written a book about people who you come to think of as 'your' characters and then searching old newspaper reports and learning more and more about their fascinating lives. I love writing fiction, but if there's one thing I've learned from writing these novels, it's that there is sometimes nothing stranger than fact.